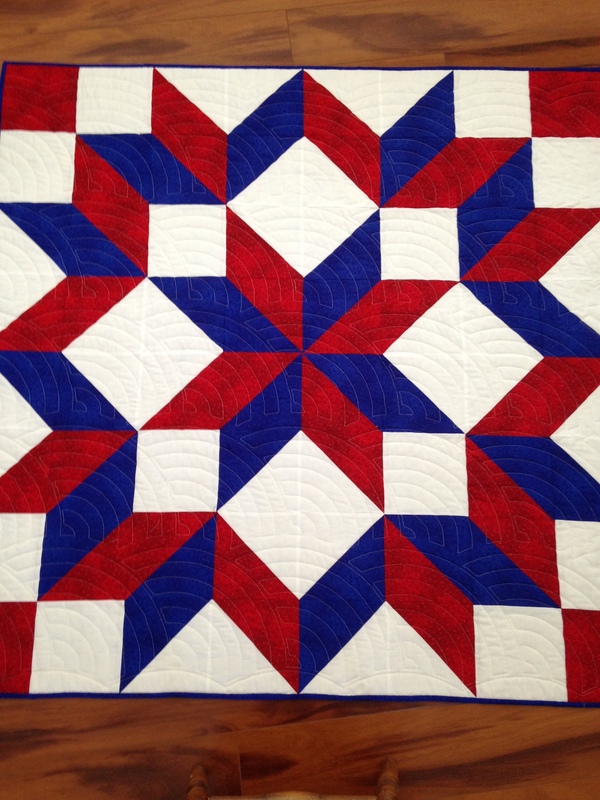 I made this quilt from the beginning to the finish. 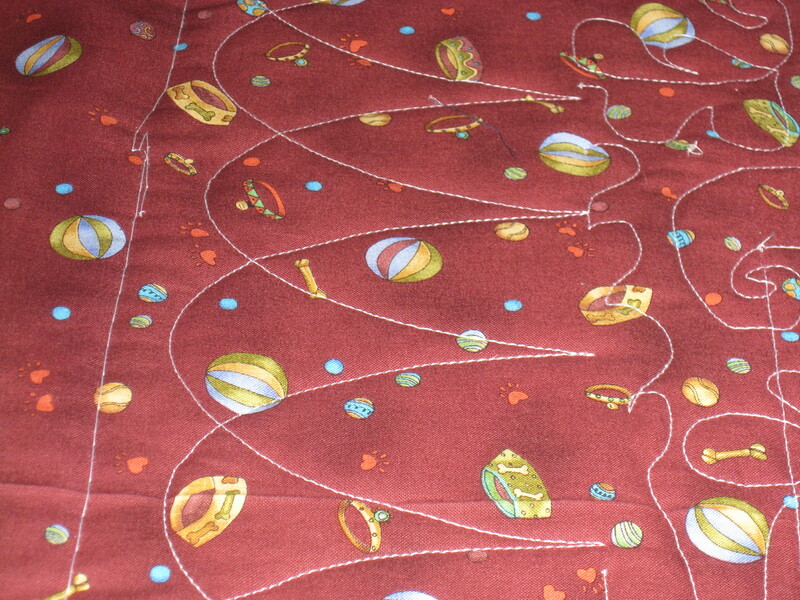 I usually just longarm for others or make small quilts. 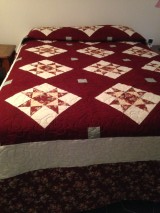 This is an over sized queen quilt. 104 by 121 inches. I love the colors and the stars. I love the stars and contrasts of the colors. 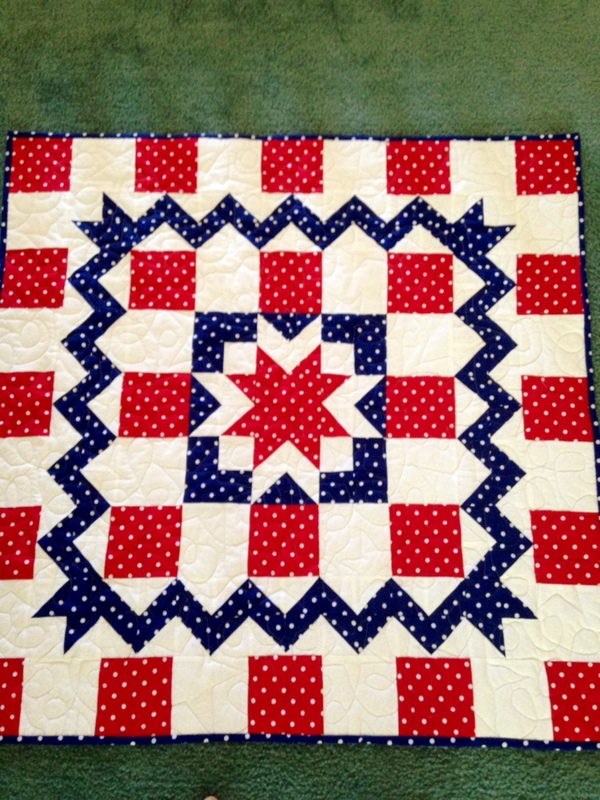 I love this one and am making another one. The dots really made me love it, It looks so comforting and I will hang this in my hall so everyone can see it. 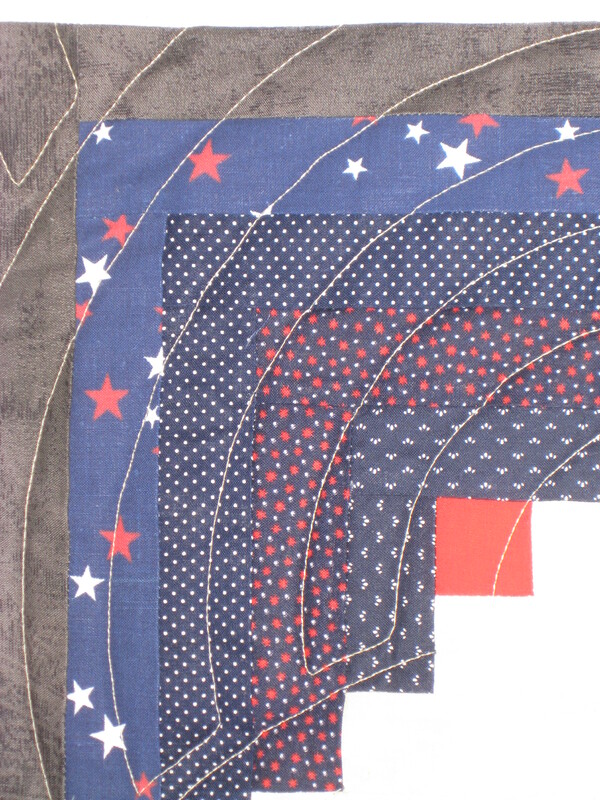 Ready to longArm this block of the month. 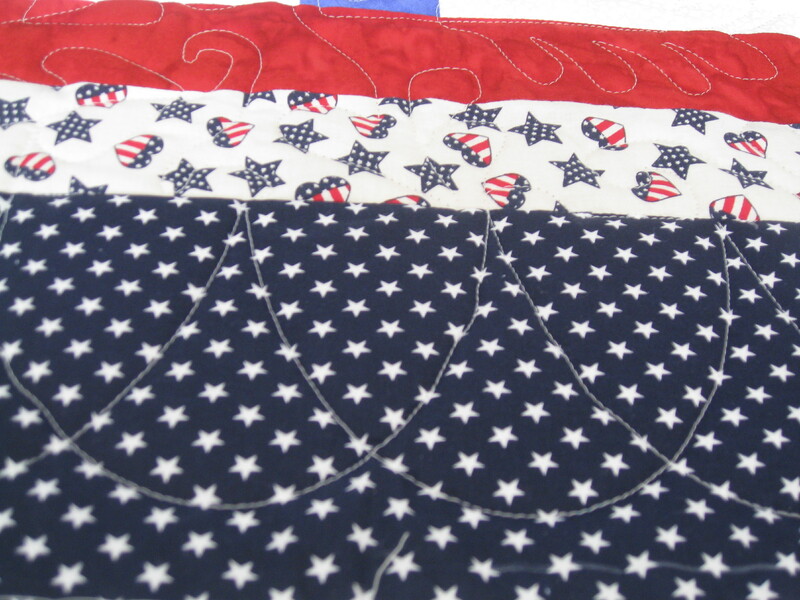 Pattern is Treasure chest from Eleanor Burns. The directions teach the techniques and are so clear and easy to use. 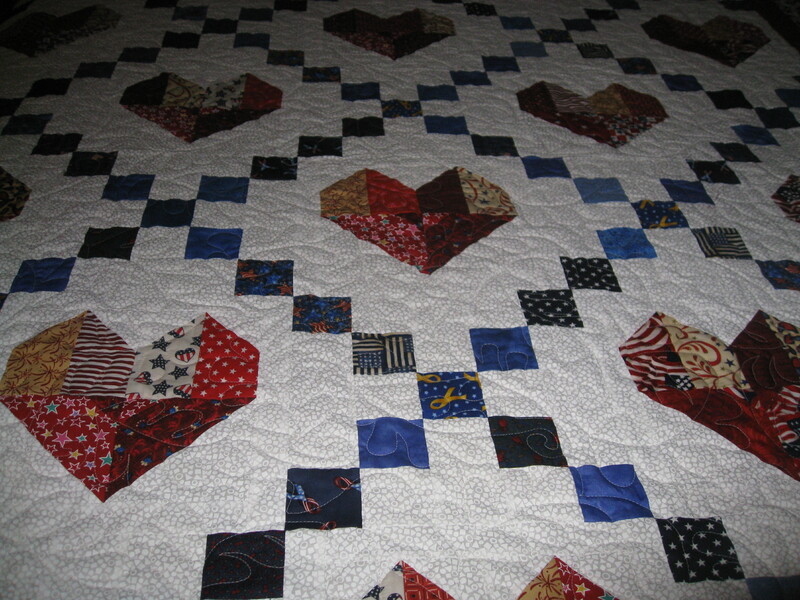 My Quilt Guild is the Inland Empire Quilt Guild IEQG and we did this as a block of the month quilt. 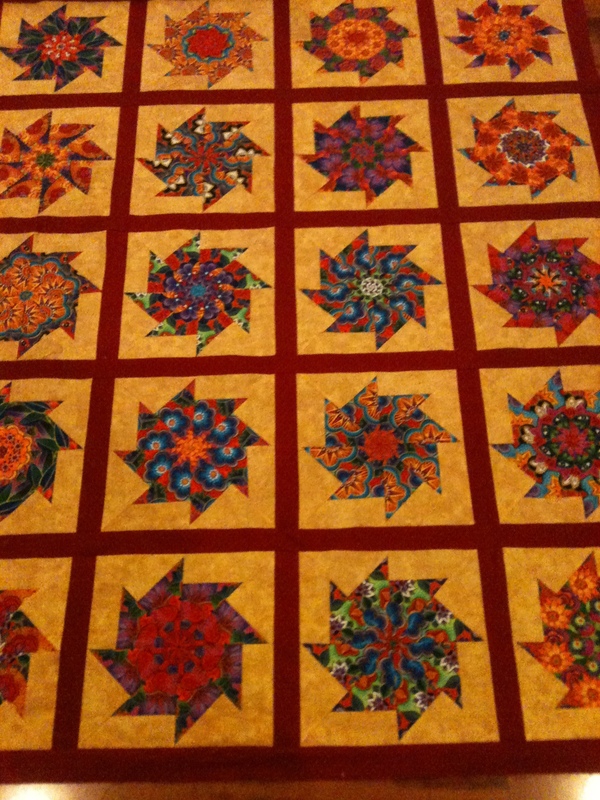 The Inland Empire Quilt Guild has some wonderful and fun sew days. 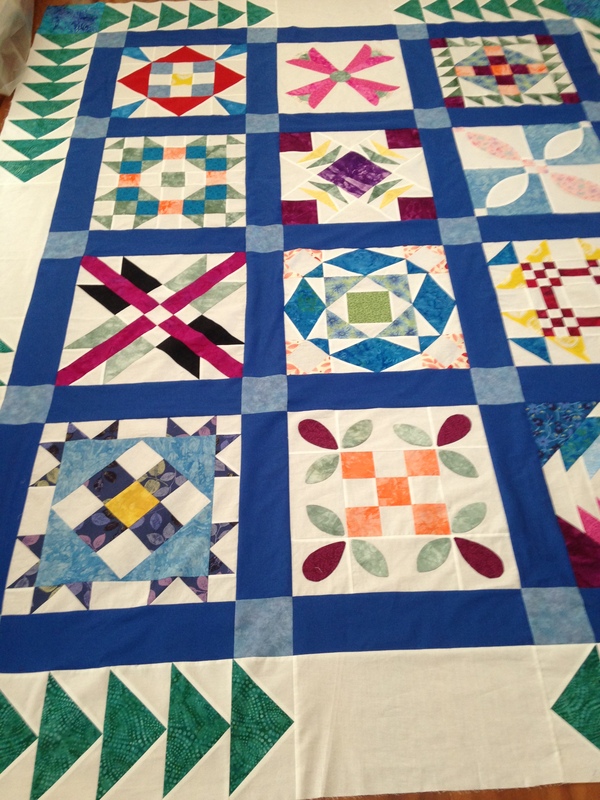 Yesterday was our sew day for Charity Quilts. 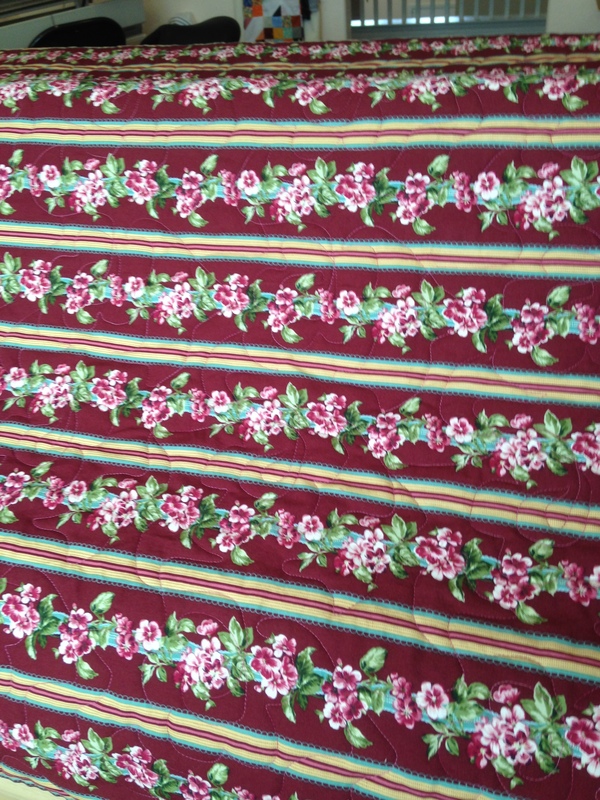 I was so happy to find beautiful stack and whack blocks already to be made into a quilt. 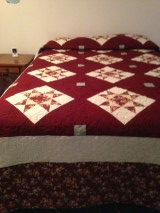 Here is a picture of it. If you live near Corona, CA, our guild meets at 7pm on the second and fourth Monday of the month at the Corona Senior Center on Belle Ave in Corona. We love having new members and the 4th meeting of the month we have speakers. come and join us and let us all have fun with you. Just returned from vacation in PA and MD. What fun I had and love that area of the country. 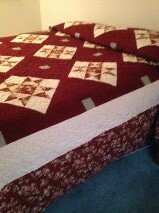 Here are a few pictures of my latest quilt projects.